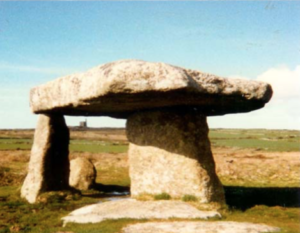 Cornwall has one of the most intensive prehistoric landscapes in Britain. 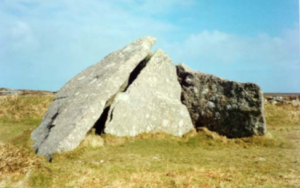 And here in far west peninsula of Penwith we have perhaps the highest concentration of ancient sites found in Western Europe. Ancient sites are important to many people, but they do not always hold the same meaning. Different perspectives are held by archaeologists, heritage workers, spiritual and pagan communities. The activities of alternative-thinking people such as dowsers and pagans have made the public aware of Leys or alignments. Whilst their true nature still needs to be understood, it is known that an amazing number of Stone Age, Bronze Age, and even Iron Age Monuments are situated on straight lines, sometimes with only a few feet divergence. Why our forbears put their monuments on these straight lines is unclear. Were they experts in surveying the land even though they did not have sophisticated equipment, or were they instinctively reacting to what was already in the land and nowadays is not felt by many? These are questions we may never be able to answer. 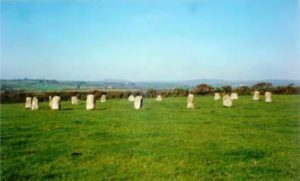 Pagans and other alternative thinkers believe that the Gods and Goddesses or other Spirits of Place are very much alive in West Cornwall. They will tell you that when they visit an ancient site they are able to connect to the Land, Nature and the Ancestors in a way that is a powerful, life changing experience. To many of these researchers, the whole network of sites is as important as any individual site. We are fortunate to have so many of our sites remaining, but this network of ancient sites is a finite resource. There is pressure on them from tourism, farmers and other landowners. 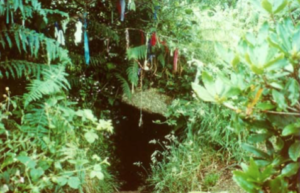 In order to preserve the special feelings that many of us experience, we have to preserve the sites thereby retaining the features which make west Cornwall such a special, magical place. Many people now consider that a significant number of the ancient sites were built and used for the ritual and cultural customs of the particular era. Because of this, some groups and individuals still like to use the ancient sites for private or public modern rituals and celebrations. These are usually planned and executed in such a way that they have no lasting impact on the structure of these ancient sites. Nevertheless, some people do leave objects at ancient sites, and this appears to indicate that not all pagan minded people respect the archaeology of ancient sites. Non biodegradable items and crystals are classed by CASPN as litter. Our message to the world is ‘ Don’t change the site, let the site change you’. At the heart of Historic England’s role is the National Heritage List. This is a list of the most outstanding elements of the historic environment which are protected through designation. The list is constantly growing and evolving. Scheduled Monuments, Listed Buildings, Conservation Areas, Designated Battlefields, Registered Parks and Gardens and Protected Wrecks are all included in the list and receive legal protection. Those sites which are deemed to be ‘at risk’ may be included on the Heritage and Risk register and receive special priority for action and funding. We work with owners, friends groups, developers and other stakeholders to find solutions for ‘at risk’ historic places and sites across England and of course Cornwall! 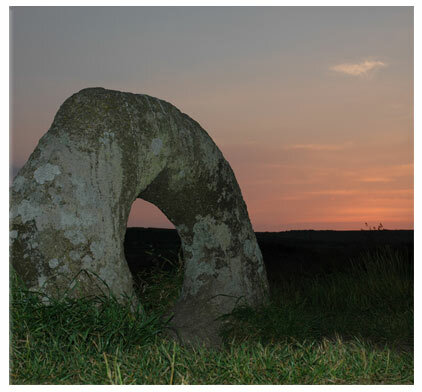 West Penwith has a particularly rich archaeological heritage with its great concentration of scheduled sites and monuments. Uniquely this peninsula at the end of the land has preserved not only ancient settlements but also the field systems which were worked by the people. Prehistoric fields are still to be found on rough ground and also in in many parts of the modern field system especially along the north coast. Settlements within their their accompanying fields extend from the Middle Bronze Age through the Iron Age and Romano-British periods and beyond to both mediaeval and post mediaeval times. Prehistoric round houses are clearly visible in many places as are Romano-British courtyard houses, a more elaborate form of dwelling so far found only in West Penwith and the Isles of Scilly. This landscape has been described by distinguished antiquarians, surveyed extensively by archaeologists and its field remains revealed by air-photography. 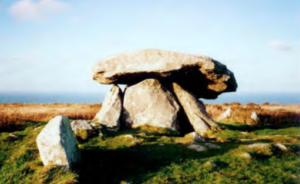 This remarkable area is host to an impressive range of great stone monuments dating from the Neolithic to the Bronze Age. 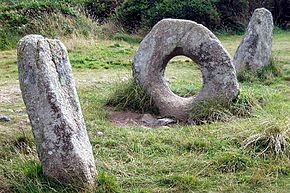 Such enigmatic structures as quoits, standing stones and stone circles excite the imagination and encourage speculation as to their purposes and interrelationships. Explanations vary greatly: mathematical, astronomical, religious among them. 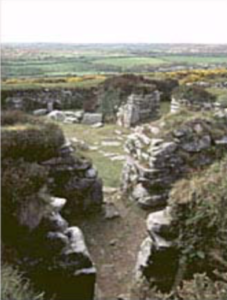 Also prominent in the West Penwith Landscape are cliff castles and hillforts. 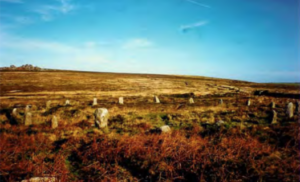 These monuments are no longer considered to be evidence for endemic Iron Age warfare but rather places set apart by banks and ditches where ceremonies, meetings and trading contacts took place. Some have been found to contain round houses although habitation on a full time basis seems improbable. 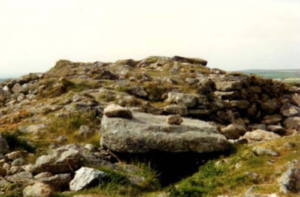 Others may have begun as much earlier cairn enclosures. 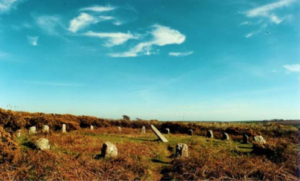 As in many other places some of the most common field remains are barrows and cairns which are to be found on the coastal margins, hill slopes and summits. There is a great variety of these Bronze Age monuments and it is not always clear that all of them served a funerary purpose. Many have been robbed or ‘investigated’ in the past without any record made. Much of the ancient landscape and many of the sites and monuments on it have suffered the depredations of modern agriculture and industry although the latter has given rise in its turn to a fascinating mining landscape. 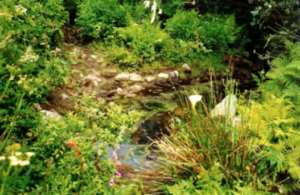 Stone and earth structures of all ages have been quarried for building and fertile soil. Today a significant part of Archaeology consists in the preservation and recording of what remains. By the side of the professionals volunteer organisations such as CASPN play a vital part in protecting the sites from the scourge of bracken, bramble and gorse and promoting public awareness of what is here in West Penwith. 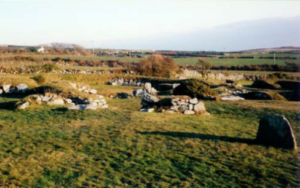 Cornwall’s ancient sites are part of our heritage. They belong to everyone. We are all welcome to visit the sites, but we ask that you please take care to respect the sites and the land around them. We promote the responsible use of ancient sites through adopting the motto: “don’t change the site, let the site change you”. As part of this work, we’ve placed small, sensitive signage at access points to certain key sites that also give contact details for people to report any damage. Some of the damage to ancient sites is unavoidable and can only be managed, rather than completely prevented. For example a certain degree of soil erosion is inevitable if access is to be permitted. But much of the damage to ancient sites is unnecessary and avoidable. Ironically, one of the greatest threats comes from the very people who hold such places sacred, the pagan and new-age communities, and also people from Celtic Christian traditions. These people often feel compelled to leave or bury an offering at a site, as our ancestors may have done, and they also sometimes light fires and burn candles. These may seem like harmless activities, but they can damage the stones, harm wildlife, destroy protected species of lichen and moss, and hinder future archaeological research. Offerings such as these can also be construed as litter, since they are often made of unsightly non-biodegradable materials. For a complete list of offerings that can damage sites, please click here. Before you do decide to leave an offering or light a candle, it is wise to ask question: how might this affect the site? Is it something that might be harmful to nature in any way, and will it significantly alter the timeless ambience of a site? If the answer to such questions is yes, it is unlikely to please the Spirits of Place, could upset other site visitors, and may even cause the landowner to block future access. Remember the wise saying: take only memories, leave nothing but footprints. Apart from being unsightly, when burnt on stones or in chamber tombs wax smothers and kills lichen, moulds, fungus and algae, all of which have intrinsic value and many of which are endangered species that take hundreds of years to grow back. Picking candle wax off can cause even more damage to fragile organisms. Most candle waxes are made from petroleum-based products and are toxic to the environment. Candle wax dripped onto the grass at a site can be mistaken for food by animals and ingested with potentially fatal results. These pose the same problems as candles, but with the added problem of the metal container that holds the wax. Many people light these at ancient sites and then thoughtlessly leave them behind. These offerings are traditionally made of cloth tied to the branches of trees at an ancient site, but now many of these are plastic or metal which take hundreds of years to degrade. In addition, these materials are often toxic to the environment, harmful to wildlife and cause fatal damage to the trees themselves through ring-barking and preventing new growth. These may not seem particularly harmful, but they are often made from toxic materials, do not degrade quickly and soon form unattractive piles of litter. If used within a chamber tomb, the resinous smoke of incense forms a coating on stones, which is harmful to the rock and the organisms that live there. Forcing objects into holes can damage the stones. Metal objects release acidic by-products as they corrode, increasing the weathering effects, and they also have a tendency to expand which causes pressure damage to the rock. Removal of these objects can cause further damage and needs to be done very carefully. Fire can cause immense damage to sites. Stones crack and break as water in the gaps in between the rock particles expand in the heat. Chemical changes occur making the rock more fragile. Fires destroy the lichens on the rock, ensuring that the stone is prone to more weathering. Removing the turf (itself an illegal act) in order to light a fire will bake and harden theclay in the soil below and prevent the free growth of plants. It also scars a site and changes its character. These are non-biodegradable and can cause damage to plants and organisms if buried in the soil. It is illegal and disrespectful to bury any objects at a site. Some people leave crystals to ‘heal’ the site or retune its energies for some purpose, an arrogant and self-centred assumption. Others leave crystals as an offering to the site, but what use do the Spirits of a Place have with a non-native rock that has most likely been strip-mined from a distant land using slave labour and toxic chemicals in the process? These do not decompose easily and constitute another form of litter. When poked into holes in stones they can increase weathering and damage lichens. People often pick these from around the site and leave them in a perceived ‘sacred’ area, either on the stones, in holes in the stones, or in the centre of a circle or chamber. Plant matter dies quickly and rots, which isn’t very pleasant to other site visitors. And why should dead plants on the stones be any better or more pleasing to the Spirit of Place than live ones growing happily alongside, feeding the insects and contributing to the ecosystem? A few crumbs and drops of wine may be appropriate as offerings, but anything more is not. Food takes time to decompose, and can contribute an unpleasant atmosphere to the site. And just because something is edible it does not mean that it is suitable or healthy for wildlife. Seeds and nuts can also cause a real problem if placed into holes in the stone, and they sprout, because plants exert considerable hydraulic pressure with their roots. Made from toxic petrochemical-based plastics, this is non-biodegradable and a potential hazard to wildlife that might ingest it accidentally. It also radically changes the site’s appearance and is very difficult to remove. 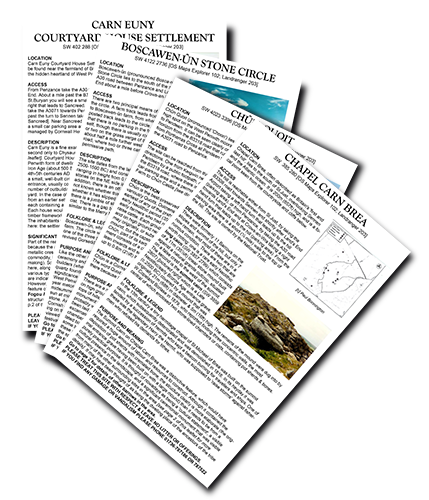 Guides to these Ancient Sites are available as downloadable Information Sheets in PDF form. They summarise the content of the web page about the site. Each leaflet consists of two pages – the main site featured is on the first page, and other nearby sites are on the second page. The leaflets were compiled by Cheryl Straffon. The site plans are mainly by Craig Weatherhill except where stated.